What is primary health care nursing? Supported by Health Professionals Bank. The results of this survey equips APNA members with information on the workforce conditions of your profession, and helps APNA’s develop evidence-based policy and programs relating to the primary health care nurse workforce and to advocate for you. This workshop provides practical, comprehensive CPD for new and transitioning nurses, and those seeking an update on best practice in the GP setting. APNA is committed to supporting primary health care nurses in developing their knowledge and skills. APNA aims to support, facilitate and promote a professional development program to its members. Continuing professional development (CPD) activities allow primary health care nurses nationwide to retain and develop their expertise. To guide organisations in the standards required by the profession. To encourage organisations to adopt best practice educational principles when developing CPD activities. 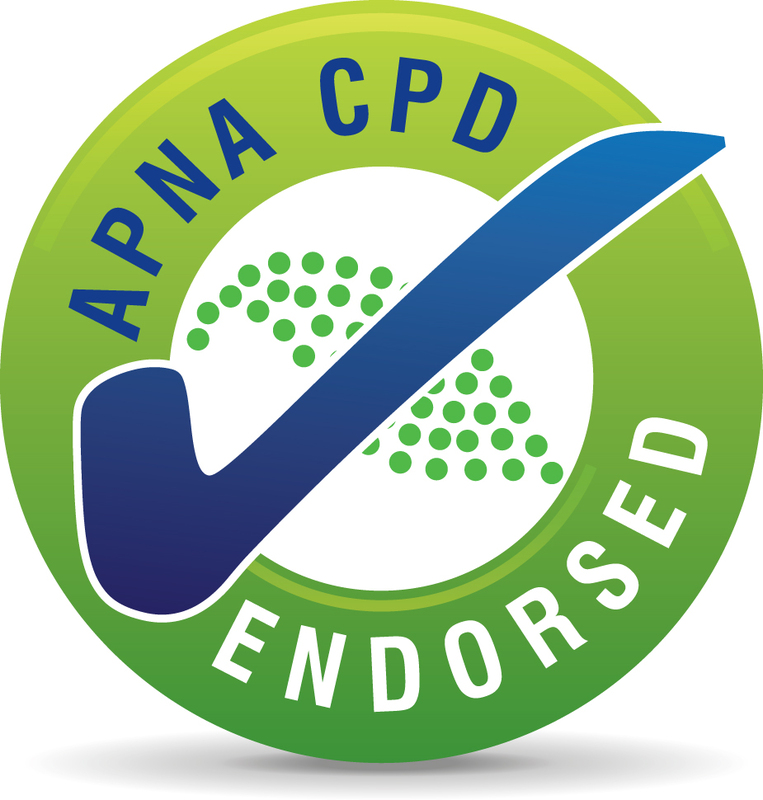 To recognise APNA members’ commitment to CPD and guide participants in the allocation of appropriate CPD hours for the purpose of meeting their requirements under national registration. Provide the opportunity for education providers to receive feedback from APNA, ensuring endorsed activities accurately reflect the primary health care nursing context and scope of practice. What can be endorsed by APNA? Any continuing professional development activity for primary health care nurses may be submitted for endorsement. APNA offers endorsement of educational and online learning activities. APNA provides a set of quality standards to be met in order for APNA endorsement to be granted. APNA promotes endorsed activities to primary health care nurses to ensure that quality activities which meet the high standards demanded by the profession are recognised. To have an activity approved for APNA endorsement you must be a credible organisation committed to supporting the needs of our primary health care nurses. APNA will work with the applicant to promote the endorsed activity appropriately and allow use of the APNA endorsement logo for marketing of the educational activity. Please note, the application process may take up to 4-6 weeks. For more information and the requirements please email us. © Copyright 2017 Australian Primary Health Care Nurses Association (APNA). All rights reserved. MRM by AMS.